The Focus on Furniture & Bedding Victorian Rally Championship Management Group is pleased to announce its partnership with Blend Line TV. 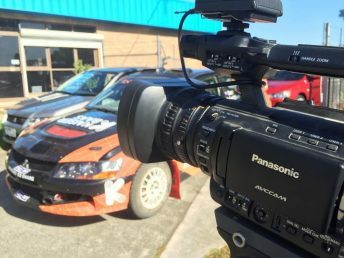 Blend Line TV are well known for their work with Motorsport in Australia, and will provide coverage to the remaining six heats of the 2017 Championship season via their own unique YouTube Channel, Facebook page and the Focus on Furniture & Bedding Victorian Rally Championship social media page for the remaining six heats of the season. Following each round, an “Event Highlights” package of approximately 15 minutes will be created then distributed via various platforms enabling action from the events to be seen online afterwards. This will be a fantastic boost for rallying in Victoria and throughout Australia as the grass and state levels of the sport are promoted to existing and more importantly, a new broader audience. Other short form items will also be published from time to time, ensuring interest in the championship is maintained, pre and post events. Competitors and Event organisers will also benefit from the recently formed partnership, with opportunities to submit both external and internal car footage, that will be used and included within the media packages, again further broadening the base and reach available to championship competitors and their own sponsors. Blend Line TV will commence coverage of the remaining rounds shortly, beginning with the Leech’s Mitsubishi Pyrenees Rush on Sunday 27th August, then continuing through with the Marysville Stages and the MRF Tyres Akademos rally.